Since their sophomore album, Subordination, came out in 2017, half of Institute moved from their Austin home turf to New York, so the band’s upcoming third album was their first written with quite a bit of continent between them. But the band reconvened in Houston last year to record their latest with Uniform’s Ben Greenberg. It’s called Readjusting The Locks and it’s out in May. If lead single “Dazzle Paint” is any indication, they’ve lost none of their bottled-up fury. Vocalist Moses Brown growls through a knotty layer of noise that rolls through bashing drums and escalating guitars that have a locked-in precision. handle the deadlock we have arrived at! will now be tasked with continually managing an incomprehensible crisis by coaxing our immediate existential problems into digestible solutions resembling new policies and technologies truly inept at solving anything. Though constantly reminded of global social inequalities revolving around money, the sociopathic power of banks and corporations to bend the world in their favor, and our society’s detrimental effect on the life sustaining capabilities of this planet, as a whole we are generally downtrodden and so consumed in this world that we are incapable of shaking the assumption that out future will be framed in anything but more of the same. We are stubborn, despite what we’ve preached our entire existence, we do not possess the ability to create a truly just and sustainable “utopia” on this earth – nor do we have the time to reassess the future currently in store for us – thus humanity will perpetually be “READJUSTING THE LOCKS” of our existential crisis in order to socially manage a decline into absolution (as has proven to be the path of least resistance)…. We’re living in a world of dangerously quick solutions justified under the narrative of progress. This is irresponsible and unhumanitarian, it construes the world into black and white agendas and out of reality, marginalizing many in the process. This is a world that doesn’t take calculated actions or react to the needs of its people. We will continue sweeping the well being of humanity under the rug in the name of advancing ourselves. 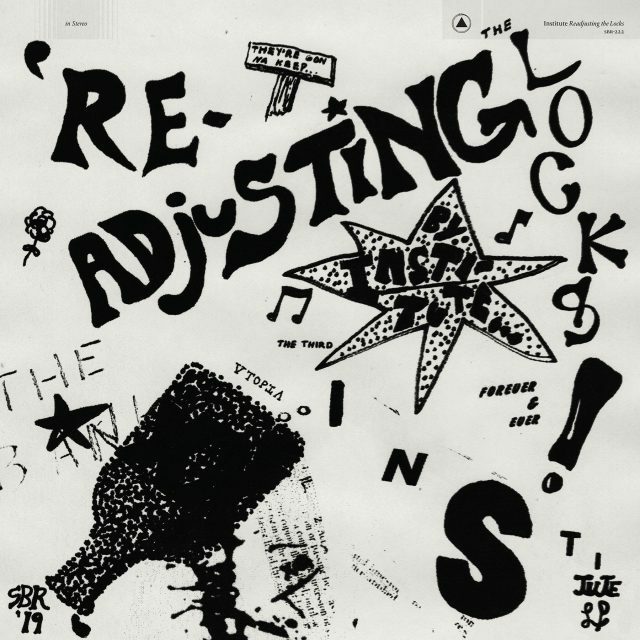 Readjusting The Locks is out 5/17 via Sacred Bones. Pre-order it here.